When a driver kills someone on foot, is it an act of God, beyond anyone’s power to prevent? Or is it the result of a broken system in desperate need of reform? 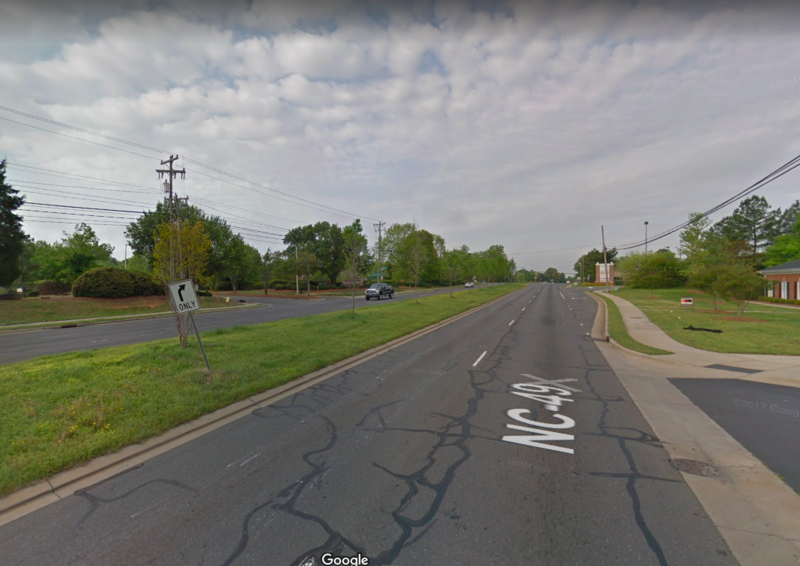 To read the coverage of the May 31 killing of 80-year-old Arnulfo Salazar in Charlotte, North Carolina, you’d think it was a random, unpreventable tragedy. Or that Salazar could have saved himself if only he’d been more careful. The stories don’t convey any sense that Salazar was failed by a hostile and unforgiving system. I want to unpack this case because it’s such an egregious example of passive reporting on pedestrian deaths and how it obscures the systemic problems that make America’s traffic fatality rate so much worse than that of peer nations. Salazar was in good health — an “avid walker,” according to his family. Then on May 31, police officer Jeffrey Page, who was off-duty but driving a patrol car, struck and killed him. Because the driver was a police officer and Salazar’s family was not afraid to speak out, this case received more attention than most pedestrian fatalities. It could have prompted some digging and a thorough investigation into what caused the crash. Instead, multiple reporters repeated, without question, dubious explanations that made Salazar out to be culpable for his own death. Police accused Salazar of “running” into the path of the car. Three different reporters used the same verb. So an 80-year-old man sprinted into the street and caused his own death, according to Page’s coworkers in the police department — an explanation that defies belief. Police have ample motive to excuse one of their own, but none of the press coverage treats the official account with even a shred of skepticism. No one raises the question of how fast Page was driving, or how he could have avoided killing someone. Police also noted that Salazar “was not within a marked crosswalk or wearing reflective clothing,” reports Tinoco. That’s an excellent question. Moreover, why is his clothing relevant at all, when it’s incumbent on drivers to observe their surroundings and avoid hitting people with their cars? The “outside a crosswalk” defense, meanwhile, is Page’s trump card. There’s no need to even inquire about the driver’s speed or distractedness if the victim was beyond the narrow boundaries set aside for pedestrians. But was there a marked crosswalk anywhere nearby? How far would someone have to walk to reach one? Tyrone Street in Charlotte, where Arnulfo Salazar was killed. No reports give the precise location of the collision, but crosswalks on this state highway are about a third of a mile apart. If Salazar was at the midway point between crosswalks, he would have had to walk a third of mile just to get to the other side of the street while obeying the letter of the law. Even for a young person in good shape, let alone an 80-year-old man, that’s a serious detour. We may never know the exact circumstances of the crash, but Salazar’s family is trying to raise money to hire an investigator. One thing that’s certain, however, is that journalists should be more skeptical of police accounts of pedestrian deaths. Far too often, police rely exclusively on the testimony of the driver — the victim can no longer tell his or her story. And when the only version of events that gets reported is a story that absolves the driver while blaming the victim, the public discussion of street design and driver behavior won’t even mention possibilities for reform. And that means more people will lose their lives. 1) Reporters, and their readers, find the study of traffic engineering boring. Really, really boring. 2) Police, Reporters, and their readers can generally sympathize with the perspective of drivers more readily than they can with unfortunate folks living outside that reality. This is why in a scenario where a vehicle operator fails to stop at a stop sign, there is a difference in how that is reported depending on what kind vehicle the operator was using at the time. For a motor vehicle operator, stories generally get covered as “vehicle entered the intersection”. For a bicyclist, its “darted into traffic”. For a pedestrian “ran into traffic”. 3) The bulk of the report is made up of facts quickly harvested from the required crash report form filed by the police. This is why stories often contain elements irrelevant to the actual crash (like a pedestrian wearing dark clothing in daytime, or a bicyclist without a helmet who was killed by an impact to their midsection by a bull bar) where these facts often play no actual role in the cause or severity of the crash. There’s also a general ignorance of the concept of an unmarked crosswalk – and drivers duty to yield to pedestrians in them. Unmarked crosswalks exist on the direct crossing, anywhere streets converge, unless marked otherwise. What’s frustrating is that the practices on marking crosswalks is criminally STUPID. Crosswalks should only be unmarked where it’s painfully obvious that a car would yield to a pedestrian, such as in a quiet residential setting. Instead, DPW’s decides mark those, but not mark crosswalks where they believe it might be encouraged a pedestrian to cross a potentially dangerous street. YIKES. (Aside… paint on pavement isn’t encouraging anybody to cross nasty streets filled with distracted, semi-homicidal loons operating 2 ton machinery at breakneck speeds). Clearly, we need most to designate crosswalks where crossing is dangerous, then aggressively enforce the existing law of yielding to pedestrians in those spaces. The rationale (twisted as it is) is that because people are killed and injured in higher numbers in MARKED crosswalks, they are removed. Rather than making the crossings safer, this encourages people to either avoid them, or cross anyway.But it makes the injury and crash numbers for the DOT seem better. God forbid drivers are ever actually held accountable, or made to stop or slow down by other means. Oh, I know the excuse that they give. If there’s actually a modicum of empirical data to support it, I’ll eat my hat. Seems like a theory dreamed up in some suburban dpw office park outside atlanta. When I was riding in Washington, I discovered that the drivers there are not ignorant of their responsibility to yield to people trying to cross at an unmarked intersection. On two separate occasions, once in Washington proper and once in Silver Spring, when I arrived on my bike at an unmarked intersection; I was shocked both times to see the drivers from both directions coming to a stop in order to let me cross. I could barely comprehend what I was witnessing. This will never, ever, happen in New York; and it illustrates the sad reality that New York’s drivers are a particular kind of awful. And that study would have to also control for pedestrian crossing volumes before and after, Lack of a painted crosswalk deters some pedestrians. Just as there are drivers who are unaware that crossing at an unmarked crosswalk is legal, there are also pedestrians with this misunderstanding. An intersection might appear to be safer simply because fewer people attempt to cross without a painted crosswalk. Not sure if this makes a difference, but I know in DC all intersections are also explicitly considered legal crossings, regardless of whether they’re marked. Interesting. How does this compare to the law in New York and other states? By the way, I noticed something else that distinguished Washington drivers from New York drivers: in Washington they stop behind the stopping line at red lights; whereas, in New York, most drivers stop well ahead of that line, sometimes even encroaching on the crosswalk. Every time I saw that behaviour in Washington, it was from a car with New York or New Jersey plates. lets face it, the important people worth protecting almost never walk or cross streets, they drive to the door, or are picked up by chauffeurs, taxis, servants…. why with the safety of anybody else?? Not sure if the victim, a 68 year old grandmother with a reputation for being safety conscious was running across the street or trying to dodge a speeding driver. We may never know since the information on the event data recorders that are in almost all vehicles is protected by state and federal law. Drivers are literally protected from being held responsible for behavior that gets people killed. I cycle on SI quite frequently and the intersection of Jewett & Victory can be a bit confusing if you’re not very familiar with it, something that I’m sure Margherita Palumbo was, so I’m a little bit skeptical about the “official” version of events. News coverage treats cars as machines devoid of any human control, as if they have their own minds. A driver striking a pedestrian with a car should be treated the same way if he/she threw a refrigerator at at an innocent person. I always want to know if the walker/runner was struck with smartphone in hand or headphones/earbuds on. There are rapidly growing instances of Distracted Walking. Look at all the pedestrians with their heads and eyes down toward their palm. Add that to reporting. 1) Was the radio playing in the car? 2) Was the music energetic, thus encouraging driving too fast? 3) Were there other passengers in the car? 4) Were they distracting the driver? 5) Was the driver on the phone or sending texts? 6) Was the driver overtired, or poor eyesight? If you only look at the victim, that’s victim blaming. The “really, really boring” stuff vanishes when it challenges the dashboard perspective. If one has to bend over backwards to defend hitting pedestrians, demanding free parking, or justifying speeding, suddenly there’s a detailed and convoluted explanation at the ready about “accidents,” nth-order butterfly effects, and 85th percentiles. In the past two years National pedestrian deaths have reached almost 6,000 per year. I have noticed a Nationwide DOT trend in placing Unmarked Mid-Block Crosswalks on High Traffic, High Speed, Multiple Lane Roads. These “Fake Crosswalks” are killing Pedestrians. They say you should never let a crisis go to waste. Well, there's a life-threatening crisis happening for people who walk in this country, but our national media is wasting this chance to inform the public how to fix it.